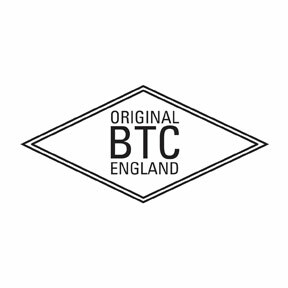 Established in 1990 by Peter Bowles, Original BTC began life as an Oxford based home lighting brand and has secured two further lighting brands; heritage marine lighting manufacturer Davey Lighting and LED lighting manufacturer Beadlight, under its umbrella. Exports account for 50% of the production, supplying both the retail and contract markets around the world with an emphasis on the hotel, restaurant and aeronautical industries. With a family history steeped in retail, manufacturing and design, Peter designs the company's products in conjunction with his son Charlie who became Director in 2012. Original BTC, Davey Lighting & Beadlight each offer a diverse and unique range of lighting designs. All brands draw inspiration from Britain's rich post industrialisation history as well as incorporating modern tastes and trends with our very latest innovative designs. Quality, detail and an interesting mix of materials are integral to each brand's designs. These are created by using the best quality raw materials to their upmost capability, paying great attention to the concept and form. From using centuries old techniques to the very latest technology, all lights are handmade and manufactured in the UK. Six production facilities include a metalworks, glassworks, and a Stoke-on-Trent bone china factory rescued from closure in 2002. It is here where the lighting designs, whether crafted from versatile bone china, the finest aluminium, copper, brass and iron, come to life. The detailing of cotton braided cables, satin chromed bases & contrasting coloured shades make Original BTC, Davey Lighting and Beadlight's products uniquely distinctive and popular in Europe and beyond.